Country music star Carrie Underwood's eldest son, Isaiah, thought he was being so sneaky.... Check out where the 4-year-old ended up! 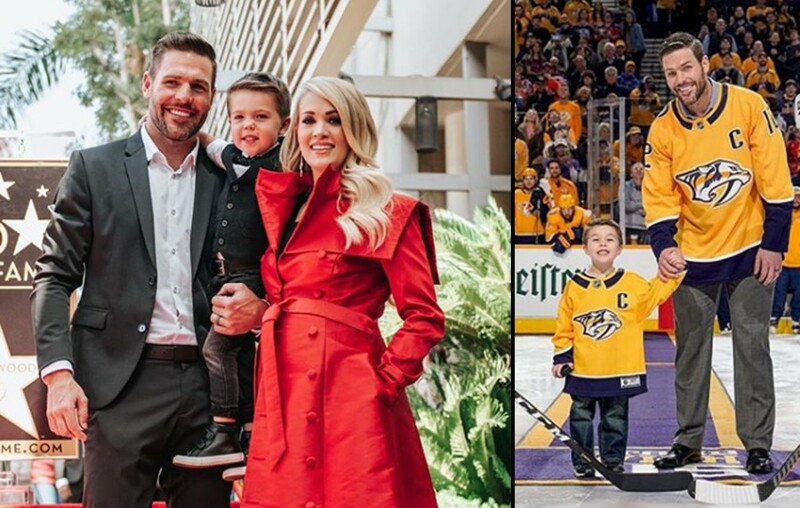 Retired NHL star Mike Fisher and country music superstar Carrie Underwood‘s eldest son, 4-year-old Isaiah, may need to brush up on his covert operation skills. The youngster fell asleep underneath a coffee table while ‘spying’ according to his amused father. Yes, that’s Isaiah barefoot in green dinosaur pajamas snuggled up with a stuffed animal. 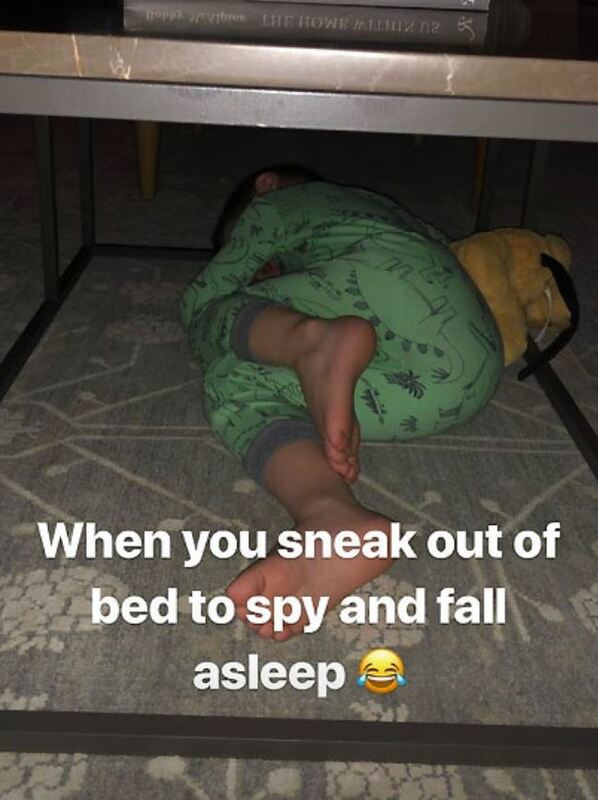 “When you sneak out of bed to spy and fall asleep,” Fisher captioned the snapshot. Kids can seriously fall asleep soundly just about anywhere. It’s really pretty impressive. It sounds like Isaiah is picking up on more things and has recently started using the word “unreasonable” according to Carrie’s Twitter account. My 4-year-old just told me that something is “unreasonable.” 🤷‍♀️ Where does he get this stuff? Pretty soon, Mike Fisher and Carrie Underwood’s eldest son will have a tour bus to explore while carrying out his spying missions… the whole family will soon be hitting the road for The Cry Pretty Tour 360 with musical guests Runaway June and Maddie & Tae. Share the latest on Carrie Underwood’s eldest son, Isaiah, with other fans of this country music family!